Nemmer Roofing team members offer licensed professional Roofing and Rain Gutter services to the commercial, multifamily and residential customers all over the Bay Area. Our team have over 40+ years experience. 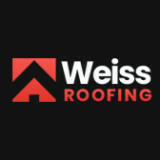 We are well known to our clients and have re-roof the same homes, multi-family properties and commercial buildings again after 30+ years. Nemmer Roofing takes great pride in the work we do. We specialize in making sure that the customer is unconditionally pleased with the project that we have been contracted to do. We do this by ensuring that the grounds of all our project sites are safe and clean with minimum disturbance to the residents and/or the property. 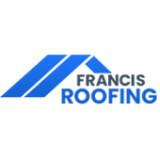 What do roofing companies in Mountain View, CA do? 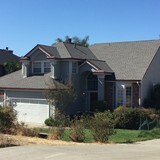 Your Mountain View, CA roofing contractor can install a new roof or repair an old one, as well as repair and replace gutters. Good roofers in Mountain View, CA should be able to promptly inspect roofs and gutters to assess damage after a natural disaster or other event, and give you an estimate for the necessary roof repair immediately. Some Mountain View roofing companies specialize in specific types of roofs, such as tile or metal, so make sure the one you are interested in works with the materials you have or desire. Find a Mountain View roofer on Houzz. 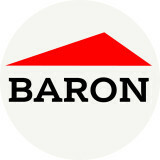 Narrow your search in the Professionals section of the website to roofing companies in Mountain View, CA. If you’re planning a large-scale project, find other professionals on Houzz who can help get the job done. Here are some related professionals and vendors to complement the work of roofing & gutters: General Contractors, Specialty Contractors, Siding & Exteriors, Door Sales & Installation, Garage Door Sales & Installation.